“Continuing the Search for Religious Freedom: Fifty Years After Vatican II’s Dignitatis Humanae” is the central topic for the 2015 John Cardinal Krol Chair of Moral Theology lecture series in four sessions at St. Borromeo Charles Seminary, which began March 17 and ends April 21. 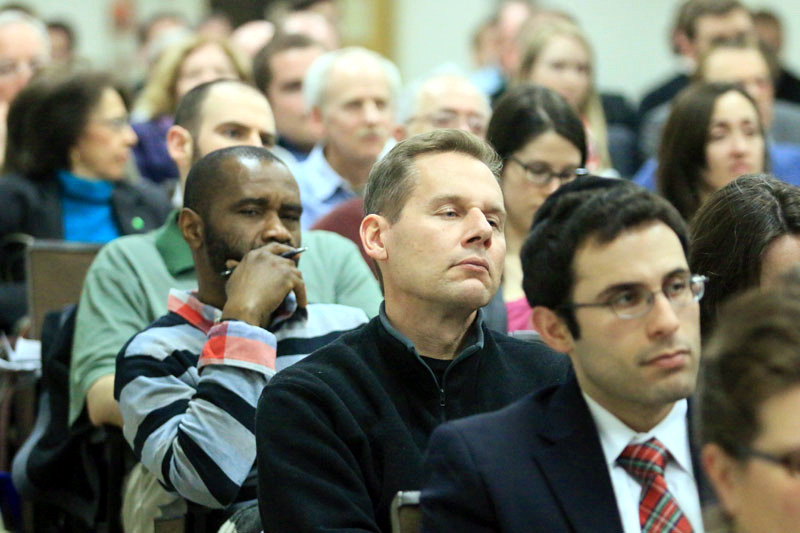 The question for consideration by the lecture series is, what is the state of religious liberty today? Over the centuries Christianity became the dominant religion and also became the state religion. 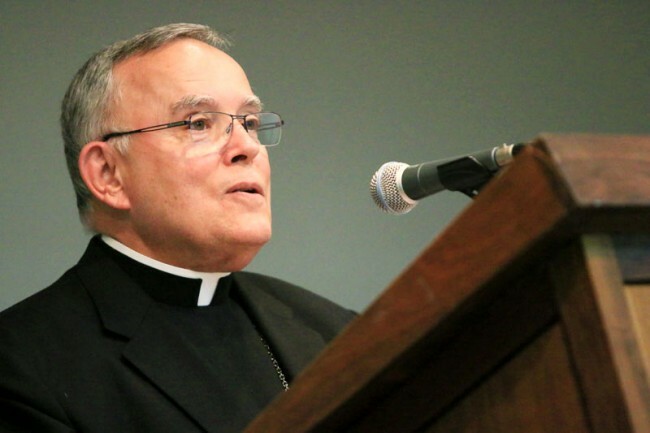 In the second part of his lecture Archbishop Chaput discussed the current state of religious freedom around the world and in the United States. But things are changing as more people have disaffiliated from religion, especially young people, and “many have no sense of the role religious freedom has played in our life and culture,” he said. He spoke of pressure for gay rights, abortion services and contraception and against public religious witness, and also restrictions on public funding, revocation of tax exemptions and expanding government regulation. The lecture ended with a question-and-answer period, with some questions to the point and thought provoking, others not; but entertaining nonetheless. Future lectures in the series feature William Mumma, president of the Becket Fund, speaking on “The American Perspective” on March 24; Princeton University Jurisprudence Professor Robert George speaking on “Religious Liberty and the Human Good” on April 14 and Archbishop of Baltimore William E. Lori speaking on “The Contribution of Dignitatis Humanae” on April 21.